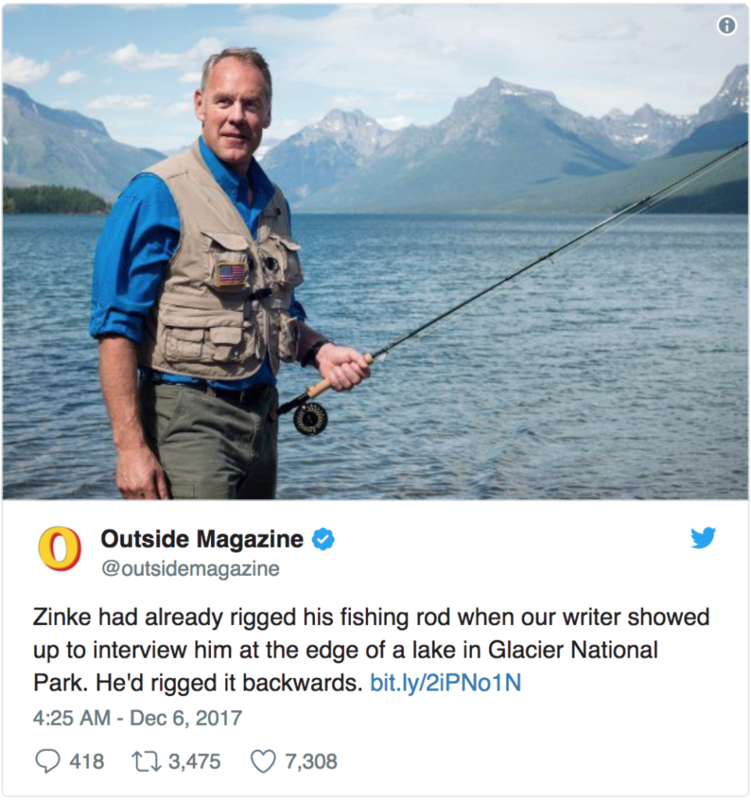 The Chumion has learned today, thanks to a leaked letter written by Secretary Zinke, that apparently the Secretary tried to pull a play out of the “A River Runs Through It” playbook by hiring Brad Pitt’s stuntman. At this time is it unclear whether or not Jason agreed to serve as Secretary Zinke’s stunt double. 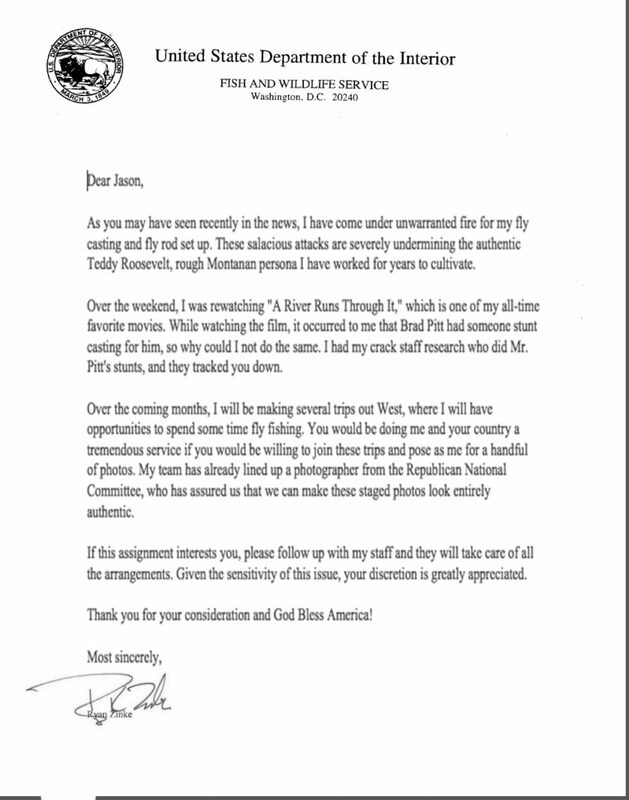 However, after the leaking of this memo, it is hard to imagine that the Secretary will be spending much time out on the water anytime soon.